- Is there still a TMGA annual fly-in (West)? I think 2017 is the last one mentioned in posts. 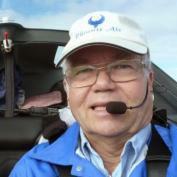 - Do members fly significant cross country soaring flights? e.g. Is 300Km a reasonable goal on a good thermal day? - TMGs seem to be excellent platforms for exploring wave. It would be great to read flight summaries and know who might be a good mentor on this topic. - Where are some of the best locations/airports to visit in the western US for mini-safaries? Thanks in advance for replies on these and related topics. We did not hold a TMGA event in 2018. We did attend the SSA convention. We are still considering our options for 2019. I would say that the majority of TMGs are more recreational soaring types who go for pleasure soaring flights of 2 to 3 hours. Self-Launching Sailplanes (ASW-26, et al) tend to do longer cross-country flights and some even get involved in competitions. A Carat is a tweener. There are some Phoenix drivers that do some long flights as well. There are a number of TMG pilots that use their planes for exploring waves. The Phoenix forum is the most active sub-forum on this website. Thanks Steve. The Phoenix seems to be a wonderful LSA and reasonable sailplane, but I haven’t seen much posted about the soaring experience. I hope to join at Parowan, but also learn from other Phoenix drivers - there seem to be some pretty capable soaring pilots who fly Phoenix’s. I’m currently in the pre-purchase infatuation stage looking for vicarious experiences with soaring in a Phoenix or similar TMG, and TMGA seems to be a potentially great source. Thanks again for your reply. I look forward to getting to know the active TMG pilots and fly with some in the western US. I fly my Phoenix about 100 hours a year, with about half of that for soaring, and the rest for travel, rides, maintenance, and test flights of equipment. If it were my only aircraft, I'd probably double the amount of hours I use it, but I still have my ASH 26 E self-launching sailplane (which I also fly about 100 hours a year). It's a terrific sailplane with much higher gliding performance than the Phoenix, but it's a really lousy airplane with only an hour fuel and one seat. Most of the soaring I do in the Phoenix is done engine-idling, as this makes the experience much more like flying a sailplane. The engine idling doesn't help the glide ratio any, but it means I do not have to stay within easy gliding reach of an airport, and can hunt for thermals down to 1000' agl, just as I've done for years in sailplanes. Unlike a sailplane that can be safely landed in a dirt field or low crop, the fixed gear Phoenix is at great risk of significant damage in a farmer's field, or tipping over on it's back, potentially trapping the pilot. In really good conditions, I will turn off the motor and enjoy the quiet and better performance (the idling propeller is drag at higher speeds). Wave flying it is great most fun, especially in the winter, as the cockpit stays warmer than my ASH 26 E. It's easier to move around the area to find the wave, and it's 110 knot cruise (compared to 70 knots in 6E) makes big difference going into a typical 40 knot wind. Russ Owens has done a lot wave flying off the Sierras in his Phoenix - he's posted some flights on the OLC you can look at. My wave flights are more modest, as my area doesn't have the conditions he can get to. Gotta run to a meeting - so the above is start on what is/can be done. Thanks Eric. I’ve really enjoyed your writing over the years especially your SLS guide! I started flying gliders at 12 (now 58) and flew a 1-26 for ~10 years as a kid. Then flew hang gliders for many years at Torrey Pines and XC in the Owens Valley. I came back to recreational sailplane soaring for a few years in miscellaneous mid-performance glass then in a Carat for a few years before working too hard and not flying for the past 15 years. So I’ve never really known 40+:1 L/D soaring - thus the Phoenix should be comfortable. I’m really excited about the touring, fine handling, comfort and glass cockpit aspects of the Phoenix too. It appears to be much more reliable than a Stemme resulting in more airtime, less hassle and much lower costs. The positives of the Phoenix seem worth the performance trade off given my interests and experience. Do you think my perception is right? Any further flight reviews, especially soaring with occasional motored sections, would be enjoyable, educational and greatly appreciated. The Phoenix has a standard, front mounted mounted Rotax 912 that is easily accessed by removing the top and bottom cowls in less than 5 minutes. The Stemmes have a mid-bay mounted 914 driving a long shaft to the folding, variable pitch prop, so it's a much more complex, difficult and expensive to work on, plus it does need more attention. It's soaring and power performance exceeds the Phoenix, but for my purposes, the Phoenix has enough of each, and is a lot easier to live with. Smaller, lighter, easier is more appealing to me at this stage in my life, than lots bigger, much heavier, and more difficult. Thanks Eric. I’m pretty familiar with Stemme’s and there’s even more complexity than you mention (prop, gear, cooling, S12 wing fold, even getting in and out...). Interestingly, a pilot who has owned both Stemme and Phoenix says the Stemme is not well harmonized, especially at higher airspeeds with very sensitive pitch and heavy roll, and the Phoenix is exceptionally well harmonized and as sweet to fly as anything he’s flown (which is a lot). This nice handling Phoenix opinion seems widespread and encouraging. But, I sure would like a 40+:1 Phoenix though — life is full of trade offs! Just finished your blog about getting your Phoenix home. Very enjoyable and entertaining. By the way - do you and others fly with the short wingtips much? Seems like that might be noticeably different and handle more like a nimble sports car. I plan to fly with Jim Lee when he returns from the Senior nationals in Florida. The trip home from FL to WA was a real adventure, and I'm glad Russ Owens was with me, as he has far more experience with airplanes than I do. I fly with the short tips when it's windy (it's less sensitive to gusts and cross winds), when I don't expect any soaring (I'm lazy - then I don't have to take the tips off to put it back in the hangar), if I'm going to places where taxiing is awkward (lights, closely spaced hangars, and these days, huge piles of snow on our ramps). The handling doesn't feel much different, except for one thing: the spoilers are significantly more effective (shorter wing, same size spoilers), and that makes it easier to land; also, it floats less with short tips, so also easier. While a 40:1 Phoenix would be a big step up in performance, 30:1 is quite adequate in areas like eastern Washington State, where I fly the Phoenix the most, with large flat areas, rolling hills, and ringed with mountains. The lift is widespread, cloudbases are 7-8000 AGL, and you can get around pretty well. It's a better than a Blanik in cross-country performance, maybe like a Ka-6, except in weak conditions. Thought I would jump in as I was in the same position as you. Loved the idea of a Stemme but maintenance expense was a killer, and too heavy in roll for me. Phoenix was next best option but I found the cockpit too tight and was looking for a better L/D. My solution is Reiner Stemme's new aircraft the RS20e Elfin. It's like a second generation S10, with 10 feet less wingspan, a ballistic recovery parachute, electric power (smoother, quieter, cheaper and more reliable). 50:1 L/D plus several other improvements and it fits in my hangar better! I ordered one last year and it should be here (NorCal) this October. Will be first in the US. Here's the website; http://www.reinerstemme.aero/product/#rs10e. I have been to the Berlin factory and met Dr. Stemme a couple of times so I am currently the de facto US expert if you want to know more! Thanks for the message and info on the Elfin. It is a truly wonderful concept which virtually eliminates the trade offs of the current TMGs. I’m quite interested and would love to talk with you more about it! I assume it is in the same price range (with the range extender) as a new S12. Or, is that a bad assumption? My Phoenix is #24, and like Eric, I flew it (though solo) from Florida to Washington State. It's kept South of Seattle. During soaring season I'll motor across the Cascades, turn off the engine, and spend as much time soaring as the lift/ my bladder will allow. Then turn the engine back on and let it warm up as I glide towards a local runway. Will repeat the process except after soaring, will motor back across the Cascade Mountains to home base. You asked about flying without the wing extensions, which is what I typically do all Winter, to keep the engine lubricated and my currency up. It is more roll-responsive, which is to be expected, and flies quite well. There's only a 5 knot recommended increase in pattern speeds, and the take-off performance is so good that it would be hard to notice anything lacking there. Overall I feel the airplane is a good medium-performance glider, which is reliably responsive and comfortable enough to sit in for a few hours. But you need to know that it can be very tricky to land. Nothing that can't be mastered, but it's not for the sloppy traffic pattern/approach pilot. And you either have to be comfortable managing cross-winds, or be somewhere where a runway is usually reasonably close to the wind, if it's more than 8 or so knots. None of this is a serious issue for the airplane, but needs to be known. If you want to chat about my experiences, feel free to call. 206-910-9173. Well it looks like someone needs to stick up for the Stemme S10-VT. I have owned mine for several years and keep it at Deer Valley, Phoenix in the winter and Flagstaff in the summer. I love the 50:1 glide ratio, and the 914 engine has caused few problems while outperforming a Cessna 172. I have flown with less than 15 minutes on the engine from Flagstaff to Montrose, from Flagstaff to Moriarty, and Montrose back to Flagstaff, and multiple trips back and forth from Phoenix to Flagstaff. I have also flown it several times to California and the Minden Wave Camp once last year. I have no problems working with Phoenix approach and Deer Valley tower getting in and out of Class B and D airspace, and I never land with the engine on. It has comfortable side by side side seating, and putting the wings on and off is really not that difficult. One of the best things about owning a Stemme is the very close knit group of the Stemme Owners Group (SOG) who meet a different times of the year for flying and camaraderie. Yes it is expensive to own and maintain, and I think the S12 will further drop the prices of the S10's which may make ownership more affordable. At least try a test flight in a Stemme if you are planning to purchase a TMG. The Stemme S10/12 is clearly the best performing TMG and a fantastic soaring machine! I believe that in order to attain that spectacular performance it is a a bit more complex than other TMGs like the Phoenix. As you mentioned, the Stemme owners seem to be a great group who are more socially and technically interactive than most - very desirable and valuable camaraderie! I’m glad you spoke up for the Stemme, and I agree it is nearly ideal in many ways. I’m not a high performance sailplane guy, most of my flying is in sailplanes (and a Carat) with less than 40:1, and hang gliders - I don’t know what I’m missing. So, cost and complexity are the challenge which make me consider other TMGs like the Phoenix, but of course those will never match the Stemme’s performance! “Horses for courses” as they say... Someday I will likely move up to the Stemme. Jamey, where do you expect to do most of your soaring? 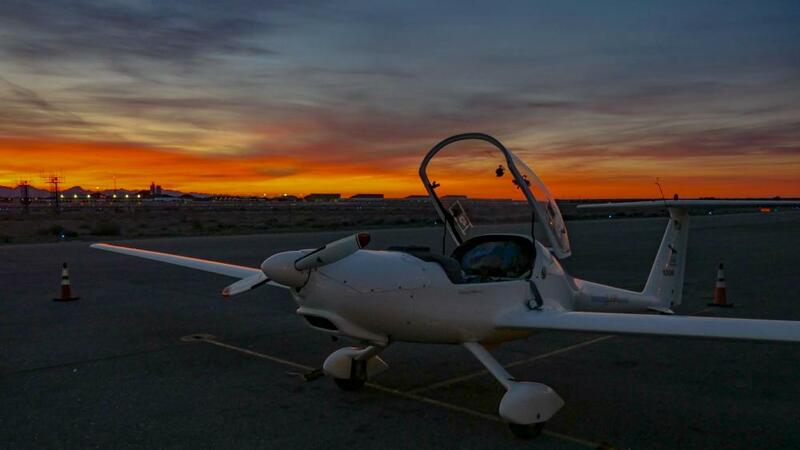 The value of high performance (high glide ratio and cruise speeds) is greater in rugged, unpopulated areas like Nevada than in flatter farming areas like Kansas, which has many more closely spaced airports and safe fields than Nevada. The elfin looked very interesting, but I didn't see any pricing for it. I'm guessing it will be at least $300K delivered to your door, with instruments and oxygen, but without the range extender or a trailer. The extender is priced at $48,000 euro, which seems like a lot for something that isn't an aircraft engine, but it does make touring possible. But, until a glider has flown and begins serial production, prices and delivery dates are usually uncertain, and early purchasers are inevitably part of the final testing team. I'd expect there to be a lot less problems than when the S10 debuted, but anything this complicated has teething risks. My flying will be based from the east SF Bay area, so it will be a mix of local foothills (Williams, Livermore, Hollister...)as well as touring the western states on mini-safaris. I also want to use it for local power flying to beautiful destinations like Monterey/Carmel, Napa Valley and Tahoe. So, I would have to be careful on the safaris to airport hop or use the motor to maintain altitude in the more desolate areas in a Phoenix. I think occasional power use is fine to extend the soaring experience with safety as a high priority vs soaring purity. The Phoenix seems to be good enough to run the eastern Sierra and Whites (Owens valley) because of the local airport population, but I haven’t done my homework on acceptable min altitudes. A Stemme would make it a completely different experience, but at a significant expense, especially if I only do the safaris or Sierra runs a few times a year. I’d appreciate a reality check from you or others with this kind of experience. There’s a lot more info from the Stemme group on longer western flying (maybe for good reason), but it seems reasonable in a Phoenix with occasional, thoughtful use of the motor. It appears that you have a very thoughtful and thorough approach to the purchase of a TMG. I just want to wish you well in that endeavor regardless of your choice. I am very partial to the Stemme, but you and others have well outlined the pros and cons of the Stemme and various other aircraft. I'm certain that you will pic the right aircraft for you. I just hope we can meet someday at a TMG function like Parowan or an SSA convention. Soaring is a fantastic sport regardless if you are in an 1-26 or a Stemme. And glider pilots seem to be an exceptional group of men and women. Jamey, your anticipated usage would work fine with a Phoenix. As I mentioned before, most of my soaring in the Phoenix is with the engine idling because it lets me soar more and worry less about staying in gliding range of an airport. When I fly my self-launcher, I'm the opposite: I put the engine away as soon as I can, and most flights it's used only for the launch, as it's much better glide means I can easily (most of the time) stay within reach of an airport. It's design allows it to land safely in almost any farmer's field (unlike the Phoenix), so I sometimes risk that when the conditions are predictable enough. I have a Diamond Super Dimona (published 28:1) and like Eric have done the majority of my soaring with the engine at idle. This is mostly due to the fact that last summer I was flying around SoCal over highly populated areas and not always within glide of an uncontrolled airport. I recently moved to Boulder CO (now based out of Longmont) and expect to have more engine off time on strong summer days. Most of my wave flying time has also been with the engine on. I've done this mostly because I've used wave on xc flights and wanted the extra safety, warmth, and full battery. Last year I flew it from Minden to John Wayne non-stop mostly in wave. Here's a more detailed write-up of that flight https://soaringlabs.com/2018/04/24/surfing-the-sierra-wave-april-15th-2018/. On my ferry flight from Warner Springs to Boulder I flew up the lee of the Front Range from Taos to Pikes Peak in wave (pictures below). 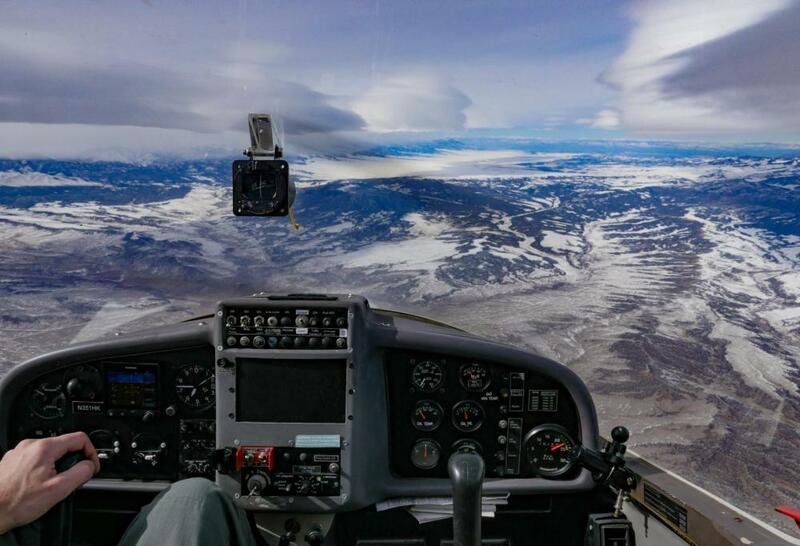 I'm quite excited to fly in wave that forms regularly right over Boulder and Longmont in the coming weeks and months! Blake - thanks for your comments and pics. The write-up in your soaringlabs blog is truly wonderful! I’m curious about extended idle flying. Do you occasionally increase the throttle to clear the plugs and avoid carb ice, or is that not an issue in your experience? I look forward to learning from, and flying with you sometime in the future. Please keep writing up your experiences! Thanks for the encouragement with writing. I do enjoy it but don't always make the time. I have not had problems with carb ice or plugs fouling on the 912A with fairly long periods (1-2hrs) of idle. Inevitably when flying wave I find the sink. To minimize the altitude loss and marginally suppress the pucker factor of plummet mode I'll add some throttle. It probably helps more from a perception standpoint than actually reducing sink rate though (climb rate of normally aspirated 912 at 17+k is nill). Lovely pictures, Blake. I envy your Boulder area for the waves it produces. My area (KRLD) in southeastern Washington produces weaker waves and less frequently. The better waves are about 90-100nm upwind, and the weather in between usually makes the round trip a bit iffy, so I haven't used them much. I have not had any problems with plug fouling or carb ice, even with 3 hour+ flights. I did suspect carb icing in a Ximango during a humid wave flight about 30 years ago, but I don't know if it's engine installation makes that more likely than on the Phoenix. I fly a 2003 Super Ximango out of my home strip (TN89) in SE Tennessee. The Sequatchie Valley has long been a soaring mecca in the southeast USA for hang gliding and sailplanes, and now paragliders. 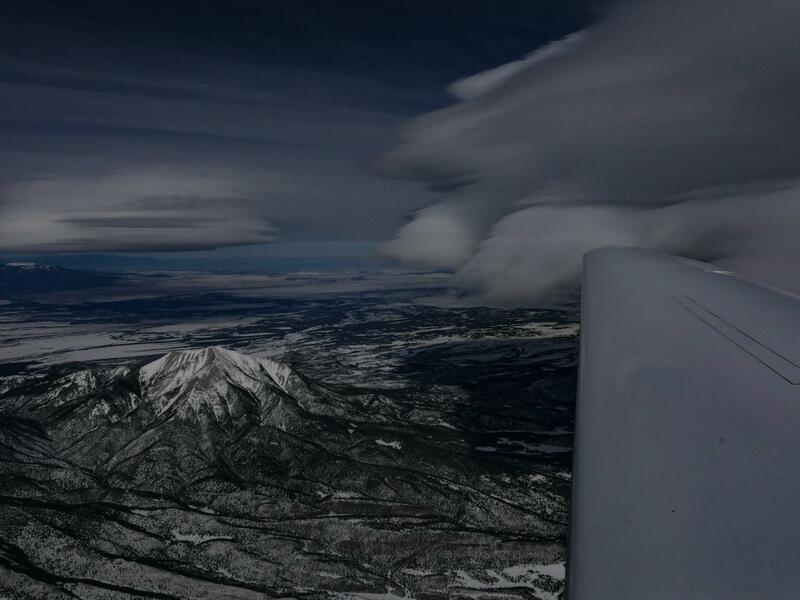 With over 190 miles of soarable ridge, along with abundant thermals, regular convergence over the plateau and fairly reliable wave from 3 different wind directions, it's easy to get 150-200 hours/year here. A typical flight for me is 15 minutes warm up and climb to usable lift, then 3-5 hours of engine-off soaring, followed by an engine on landing. The Ximango has adequate enough performance that engine idling while soaring is not necessary. I've done 16, 500k's in my Ximango so far, all but one here in the Sequatchie. The other was done out of Minden, NV.